Our loving mother, grandmother and beloved wife of Aubrey Wood passed away on October 27, 2018 after a period of failing health. She was predeceased by her mother and father: Clarence and Flora Slipp. Linda is survived by the love of her life and husband of 46 years, Aubrey “Aub” and her brother Donald Slipp (Linda). She will be forever missed by her daughters; Jacqueline Leger, Debra Kay (Allan Cormier) and Tammy Dunnett (Bill), as well as special girls; Gail and Beverly, grandchildren: Devan Beckingham (Andrew), Ryan Kay (Cheyanne) , Candace Cote (Matt), Ben Dunnett and Matthew and Daniel Leger. Also left to mourn is her great granddaughter Clare Beckingham. 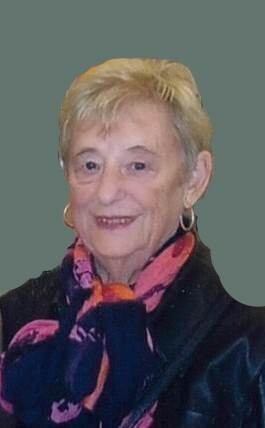 Linda was born in Saint John, New Brunswick in 1942 and was employed 25 years with Canadian Pacific Railway. Linda was passionate about her family and raised her girls with a strong sense of pride. Although, she loved her children greatly, her love for her grandchildren will be one of her greatest legacies. Lind had a fantastic sense of humour and a zest for life, she will be fondly remembered by all. Our family will receive visitors during a time of visitation on Tuesday, October 30th between the hours of 2-4 and 6-8 PM at the Fundy Funeral Home. A Celebration of Linda’s life will be held on Wednesday, October 31st at 10:30 AM at the Fundy Chapel. The family would like to offer our sincere thanks and gratitude to Dr. Geoff Douglas and Nurse Rhonda Locsin who gave such amazing care to our mom.